Punishing the entrepreneurial class. Why Steve Cohen is in such trouble while bank CEOs aren’t. It’s a question that’s been nagging at me for some time. Not a desire to see anyone be punished so much as a desire for the punishment of white collar crime to seem less arbitrary. Steve Cohen, Jamie Dimon and Brian Moynihan. Only one of these guys is in deep trouble with the SEC. Compare the fates of Steve Cohen of SAC and the CEOs of JPMorgan and Bank of America. Cohen has been pursued for the better part of ten years. His outside investors have largely abandoned his funds. He has already paid $616 million in fines to the SEC to settle civil accusations of insider trading. But that wasn’t enough. His firm was indicted and now prosecutors are said to be considering going after the bulk of Cohen’s fortune, on the grounds that it may have been earned through insider trading. Steven Cohen is not an easy man to sympathize with. The few scraps of information which seep out of his cloistered world suggest a brooding, demanding character consumed by accumulating wealth and its trophies, notably art. He seeks neither the limelight nor popular acclaim. It may be that the SEC has further evidence on Mr. Cohen which would freeze the blood. But for now, his punishment seems extreme in the context of what we have seen in the financial industry these past few years. Wall Street executives guilty of what seem more epic and socially harmful misdeeds, have been allowed to write settlement checks with shareholder money and walk away untouched. A shortlist of recent major bank settlements. Last month JPMorgan agreed with the Federal Energy and Regulatory Commission to pay $410 million to settle allegations that it manipulated energy markets in California and the Midwest. A couple of weeks earlier, Citigroup paid $968 million to settle charges that it sold faulty mortgages to Fannie Mae. Goldman Sachs paid $550 million in 2010 to settle charges that it misled investors in a subprime mortgage deal. In January, the major banks agreed a collective $20 billion settlement of charges of irregular mortgage and foreclosure practices. HSBC and Standard Chartered Bank were heavily fined for facilitating transactions with sanctions-barred countries such as Iran, Sudan and Libya. Then there were settlements for improperly increasing minimum payments for credit cardholders and overdraft fees for debit card users. @PeterEavis writes in today’s @Dealbook of the reverberative effect of $GS’s sub-prime trades among homeowners. Yet the banks rumble on. Their executives keep getting paid and their business remain in rude health. Every time they are accused of filching from the public, they their fine and move along, protected by their size. No one, including the SEC, wants them going down, no matter the cumulative impression created by all these settlements that these are organizations either too complex to manage or ethically badly astray. The only bankers brought to court seem to be the underlings, junior figures like Fabrice Tourre of Goldman Sachs, and now a couple of JPMorgan bankers involved in the disastrous “whale” trades. Let’s say that the punishment already dealt Mr. Cohen and his business is justified. That he is not just an enabler of insider trading but an insider trader himself. To use the SEC’s own language, he would be guilty of having undermined “investor confidence in the fairness and integrity of the securities markets”. On the books, insider trading is a crime, but eminent economists debate whether it should be. Milton Friedman said it brings information more quickly to the market, so we need more of insider trading, not less. On the other hand, a healthy, liquid securities market depends on the appearance of fairness. There is no such debate over the cases settled by the major banks. They have been repeatedly and convincingly accused of stiffing thousands of their clients, and doing plenty to undermine investor confidence in the fairness and integrity of the financial services markets. Mr. Cohen is still $9 billion and change away from the poor house. No one will shed tears for him or any other billionaire caught in the SEC’s crosshairs. Perhaps he should have settled earlier to save his business and reputation. But it is worth remembering that he is part of the entrepreneurial class in finance. Hedge fund founders innovate, take risks, create jobs and if successful are rewarded lavishly for their efforts. The danger is that at the first whiff of trouble, their investors skitter. The SEC knows this. They can destroy a hedge fund just by announcing an investigation. Banks, by comparison, are the corporate class. Their executives seem to get away with doing the most appalling things. Technicalities aside, treating the two classes so differently, the SEC is sending a message about the behaviors it is willing to tolerate. Rough stuff from bank executives, but a much higher standard from hedge funds. If I were Mr. Cohen, I’d feel quite righteously cross. And if I were a senior executive at a major bank, I’d feel grateful to be able to fire and duck behind such impregnable, corporate walls. l strongly recommend reading Atul Gawande’s piece in the 7/29 New Yorker on how innovations spread. He focuses on medicine – he is a surgeon after all. But his piece has wide resonance for innovators and salespeople in every field. In explaining why some innovations spread rapidly, and others don’t, he differentiates between innovations which have immediate, positive effects and those which take a while for their benefits to be seen. The former category tends to spread faster. In the mid-19th century, anesthesia was rapidly adopted, because it offered an immediate benefit to patients by reducing their pain, and to doctors, by making operations much less traumatic. By contrast, the use of antiseptic spray during operations was adopted far more slowly, despite its huge benefits in reducing infection in the operating room. The reason, Gawande writes, was that germs aren’t visible. Their effects take time to materialize. And doctors hated having to work in a mist of antiseptic spray. “In the era of the iPhone, Facebook, and Twitter, we’ve become enamored of ideas that spread as effortlessly as ether. We want frictionless, “turnkey” solutions to the major difficulties of the world—hunger, disease, poverty. We prefer instructional videos to teachers, drones to troops, incentives to institutions. People and institutions can feel messy and anachronistic. They introduce, as the engineers put it, uncontrolled variability. But technology and incentive programs are not enough. “Diffusion is essentially a social process through which people talking to people spread an innovation,” wrote Everett Rogers, the great scholar of how new ideas are communicated and spread. Mass media can introduce a new idea to people. But, Rogers showed, people follow the lead of other people they know and trust when they decide whether to take it up. Every change requires effort, and the decision to make that effort is a social process. I’ve been writing various reviews, columns and features over the past three months in my usual venues, the Financial Times and The Wall Street Journal and thought it worth gathering them here. Most are behind paywalls – newspapers have to make money somehow – but some are accessible for free. On July 30, I reviewed Daniel Isenberg’s new book Worthless, Impossible, Stupid: How Contrarian Entrepreneurs Create and Capture Extraordinary Value for the WSJ. It has some interesting and inspiring stories in it, though I felt Isenberg got rather tangled in trying to justify the financial motivations of many successful entrepreneurs. He seemed loath to admit that Gordon Gekko was right, that in a free market, greed, very often, is good. It makes the whole system work. On May 22, I reviewed Rolf Dobelli’s The Art of Thinking Clearly, a compendium of behavioral psychology and neuroscience findings of the past two decades, and on June 24 Adam Lebor’s interesting history of the Bank of International Settlements, The Tower of Basel, both for the WSJ. July 1, I wrote an oped in the WSJ, Big Data Hasn’t Changed Everything, in which I tried to explain the limits of big data. Yes, it has extraordinary potential in all kinds of scientific and business fields. But I fear it becoming another passing management fad. Ultimately, there’s a limit on how much data even the most sophisticated manager can absorb. I’ve also been cranking away for the Financial Times’ peerless management pages. You can read all my FT pieces here. August 6th 2013: The new breed of education startups. July 29, on the leadership style of Pope Francis. July 24th on which perks work and which don’t. July 15th, new thinking on grabbing and wielding corporate power. Smack down in America’s malls. High-touch vs. no-touch sales. Derek Thompson wrote a piece in the Atlantic in May, Death of the Salesmen: Technology’s Threat to Retail Jobs. It captures well a situation evident to anyone who has visited a mall recently. Stores are basically divided in two today. Those with next to no salespeople, who are competing entirely on price. And those who believe customers will pay for service. It’s Walmart vs. Apple. 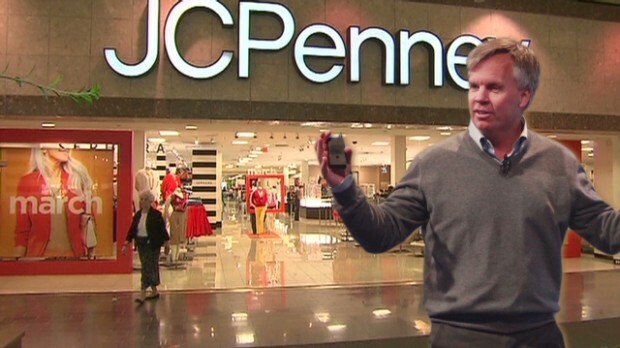 JC Penney became a battleground for between these two approaches under its former CEO Ron Johnson, who came from Apple. He tried to bring the high-touch approach, but JC Penney’s customers showed no interest in paying for it. The only “customer experience” they wanted was low, low prices. Thompson sums up the situation in his final three paragraphs. “Some stores have resisted the temptation to cut workers—and have benefited from higher sales and happier customers. Costco, Trader Joe’s, and QuikTrip not only have more (and better-paid) salespeople, but also report more sales per employee than their immediate competitors, according to research by Zeynep Ton, a professor at MIT’s Sloan School of Management. Other stores, like Uniqlo, a mid-level fashion retailer, and Wegmans, a grocery chain, have similarly demonstrated that you don’t need to embrace retail’s post-employee strategy to make a strong profit.